Robyns Simple Life: Saturday Snapshot! Fresh and pretty eggs from my chickens. 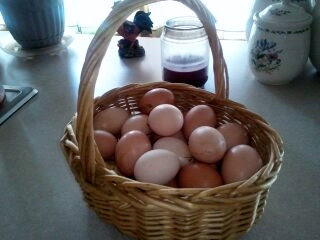 I love this photo...feels so good to see a basket filled with fresh eggs!